Free Tour: The line forms here! 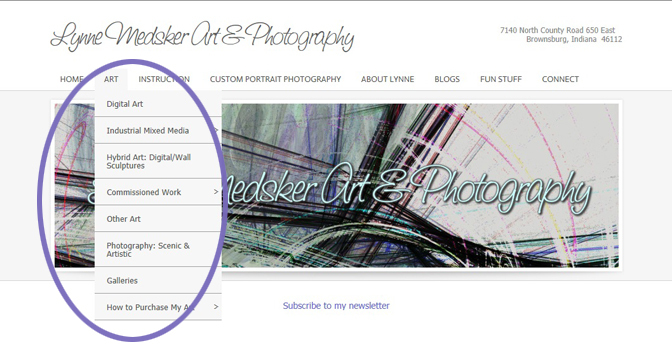 Did you notice that the pop-out button is for purchasing my digital and photographic art online? Yup, there’s a page to do that now! That’s one of the new features I was excited about adding. Here’s the last stop of today’s tour, probably not as glamorous as some of the other items but I’m excited about them! These buttons are at the bottom of each page to make it easy for you to keep connected with me and my art and to share the pages/images with your friends and family. Anytime you see an image or read a page that you like, hitting those share buttons would be most appreciated! And to make sure you get the latest updates, be sure to sign up for my newsletters. They will be published twice a month, with occasional special announcements throughout the year. 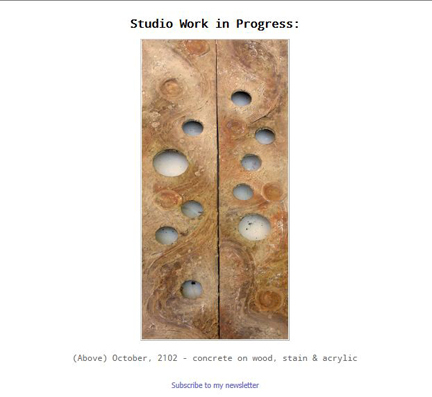 I also have a separate newsletter specifically for those of you interested in the classes and workshops I present. That is published about once a month. Next post I’ll give you a peek at the online calendar for classes, some “secret” pages as well as a section of fun stuff, just for you! In the meantime feel free to explore on your own, it’s open 24/7, 365 days a week by clicking RIGHT HERE. Enjoy!